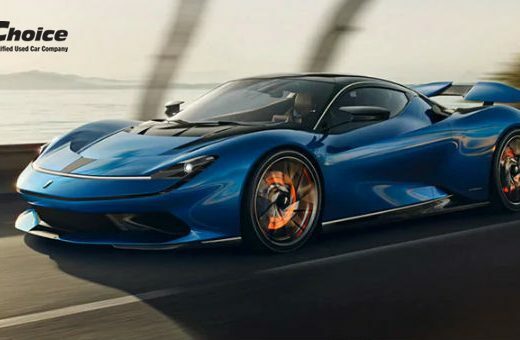 The 2019 Geneva Motor Show dominated almost all of last week as far as the auto sector was concerned while there were several other key developments as well. Honda officially launched the new Civic in the Indian market: Honda Cars India Limited (HCIL) officially launched the new Civic in the country from INR 17.69 lakhs (ex-showroom)-INR 22.29 lakhs (ex-showroom). There are diesel-manual and petrol-CVT combos throughout five trims. There are several features available for the Civic which has been revived to a rousing reception in the Indian market. Tata Motors Introduces New Buzzard SUV and Altroz hatchback: At the 2019 Geneva Motor Show, Tata Motors showcased its upcoming premium hatchback called the Altroz which makes use of the IMPACT 2.0 design blueprint like the Harrier and has a 2501 mm, a wide range of features and measures 3,988 mm in terms of length. This premium hatchback may launch sometime in the festive season this year and its EV counterpart was also showcased by the company. Tata Motors has also displayed the Buzzard or H7X SUV which is the Harrier’s 7-seater version and is 62 mm longer as compared to the regular Harrier. The exterior and interior designs are similar to the Harrier although there is a third row of seating added to the SUV. The name means a bird of prey straight from the Buteo raptor bird family. Maruti Suzuki launches WagonR CNG in India: Maruti Suzuki officially launched the latest generation WagonR back in January 2019 and has followed it up with the launch of the CNG version which comes in LXI and LXI (O) variants priced at INR 4.84 lakhs and INR 4.89 lakhs (all prices ex-showroom) respectively. The CNG option will be restricted only to the 1 litre engine and will be paired to a 5-speed manual transmission unit. Interesting showcases at the 2019 Geneva Motor Show: The 2019 Geneva Motor Show had quite a few interesting models and concepts being showcased including the Tata Altroz and Tata Buzzard in tandem with the Skoda Vision iV crossover, new Mercedes Benz GLC, Concept EQV and CLA Shooting Brake, Jeep Compass PHEV and new Renegade, four Volkswagen premieres and the 2020 Pininfarina Battista, arguably the most exciting of all models/concepts shown here. Car Sales Volumes did not Inspire Last Month: The first quarters of any year usually see lower sales figures in the passenger car sector due to prINDRAice hikes and the absence of discounts/offers like in the festive season. The same story unfolded in February 2019 with slightly lesser sales figures for carmakers as compared to their initial expectations. However, as expected, the three top Indian carmakers, Maruti Suzuki, Hyundai and Mahindra & Mahindra continued to occupy the top three positions in terms of overall sales volumes for February 2019. GET THE MFCW ADVANTAGE! FIND USED CAR DEALERS IN Mumbai ! Previous You Can Now Go for Hyundai Cars on Subscription Basis! Next Which Cars Will Give Stiff Competition To The Honda Civic In India?